The next meeting in the Netherlands for Shutists will be held on 14 October next at the Take Off Restaurant at Teuge Airport. We will be discussing No Highway, or Spel met de Dood, as the Dutch translation is named (Play with the Death). We will meet from 11:00 am and have lunch around noon. After lunch we will discuss the book. Depending on the attendees, the discussion will be in Dutch or English. The next UK Meeting for Shutists will be held on Sat 3 November in Southampton, to discuss A Town Like Alice. Meet at 10.30 for a tour of the Solent Sky Museum, guided by the manager Steve Alcock who has a good knowledge of Shute and his aviation connections. Will include a cockpit visit to a flying boat. £5 per person. Followed by lunch at the Admiral Sir Lucius Curtis, a short walk away in Ocean Village. They will provide an area for us to eat and discuss the book. Parking is available £5 for 5 hours behind the pub. If you wish to attend please let me know before 20 October - nogsy@aol.com or message me on FB via Shutists. HUGE thanks to new Shutist Geoffrey Wheeler for his advice and assistance. My thanks to the Newsletter. In August, I mentioned that I had to downsize my (aged) collection of books. Happily, a fellow reader asked if they could pay the postage and this has all be done with the books now in the Orient! I am delighted that these books will be read again, despite some of them being 40 + years old and (being paperback) rather yellowed. I currently live in Nevil Shute's house but after 16 years it is time to leave. Could you please share the real estate link in your newsletter? Our study book for next Tristate chapter meeting at Beall's house in Pennsylvania is Pastoral and as always it was an enjoyable reread. 2. I found the low on fuel emergency on their return from the Mannheim bombong raid surprisingly gripping , because I had quite forgotten whether they had ditched bailed out or crashed so was relieved to rediscover that R for Robert had ended up ignominiously with a Lancaster "up its arse" surely a great candidate for some creative computerised flight simulation in a movie adaptation? 4. Some years ago I recall visiting a potential heating or ventilating business customer on a small trading estate on an old airfield roughly 11 miles from Oxford. somewhere I should still have their address but an internet search failed to find them or the airfield location.it just might have been RAF/USAF Chalgrove which apparently did prepare Wellingtons for issue to the RAF for a while. This is a little tidbit which I could not help noticing as I flipped through the pages of an illustrated book in the bookstore at the Musée national de beaux-arts de Québec in Québec City recently. The caption reads: “In the summer of 1930, at Cap Santé, the residents gathered outside to see the dirigible R-100 passing by as it travelled up the river.” It was the St. Lawrence River, of course, and R-100 was on its way to Montreal and beyond after its successful Atlantic crossing. I don’t know how it came to be mentioned in the book, but I assume it was just a curiosity. Anyone who knows the tiny community of Cap-Santé will know that it is a very pretty village not far from Québec City on the famous Chemin du Roy (the King’s Road), which runs from Québec City to Montréal. I regard the academic canon of English literature with skepticism, with some justification. At this point I must disclose. 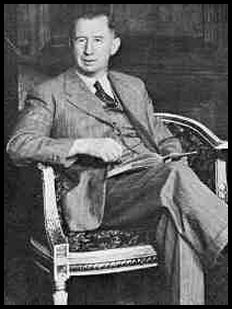 I am the elder son of C. S. Forester, and I wrote a biography that included many parts of our interaction together. I studied at UC Berkeley, ending with two years of the physics curriculum and a degree in English literature. I had considered going on to be a professor in that subject, until I learned the intellectual foolishness involved. At one time it seemed that literature was a window onto life, but much of the 20th century canon became a window into intellectual foolishness. Somethings I remember from D. H. Lawrence's serious works (excluding the few designedly fantastic fiction works) show the stupidity of the time. There was magic in ancestry, termed "blood", and much Freudian nonsense, and parapsychological nonsense, and things that just weren't so, as in a plague of suicide among the British rich in 1912. In recent decades criticism became more nonsensical with the French type of criticism. The official canon excluded works that told an exciting but realistic tale in an enjoyable manner, such as Shute and Forester wrote. Why the exclusion? I have concluded, because such tales don't give the modern critic material for intellectual discussion of the latest "important" theories. Certainly, a serious literary work should illuminate the world, but that should be the real world, not the world of the latest intellectual fantasy. Thus history, well done, can become literature. Thus Shute, and Forester in his military and naval fiction, and in his crime fiction, told stories that were sufficiently such a part of the world that they could be believed. (Good science fiction needs just one plausible but erroneous theory, but that error must be carried out completely, as did Shute with the erroneous theory of atomic modification produced by the absorption of vibrational energy. Forester had a weak novel based on a beam of something that destroyed the relationship between electricity and magnetism, thus stopping spark type aero engines, but he had to ignore the horrendous consequences of such an effect.) I repeat. A serious work of literature needs to be based on the real world, not the latest intellectual fantasy. That is why works of writers such as Shute remain popular though outside the academic canon, which is composed of those works that provide subjects for academic theories. FROM THE EDITOR That is it for this month. I'm looking forward to the reading here in the Netherlands of the 14th, and that in Southampton next month. For now, see you next month, from the Netherlands where it is autumn now, but where we have had the best summer ever.